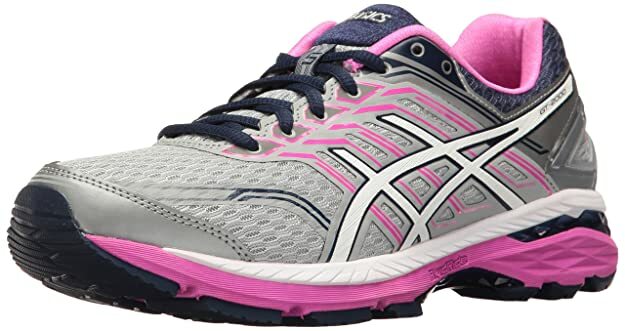 Best Running Shoes For Flat Feet 2019 - Achieve Running Goals Today! When I invested in the best running shoes for flat feet, I’ve never felt so comfortable and happy as I went back to running. Gone are the times I had to stop from slight twinges of pain, I was able to get back and run even longer without the discomfort. After all, if you have flat feet, you’re going to need the right and more supportive type of running shoes to achieve goals. I know how confusing it can be, which is why I made a helpful purchasing guide with my personal reviews on the best running shoes. So read on to learn all about it! 4 Why Get Running Shoes For Flat Feet? For those who want something that’s smooth and lightweight for faster runs, you’ll love the Brooks Ghost 11. It has excellent quality material and seamless construction, which makes it such a treat to run with. I can feel my feet supported as I touch the ground from heel to toe, and it’s never failed me even after so many runs. With its combination of value, wider toe box, and lightweight construction, I definitely recommend it for all types of runners. It fits true to size and continues to provide the best feel compared to other running shoes. If you want to focus more on breathability and flexibility, then you’ll enjoy the Mizuno Wave Inspire. It’s lightweight and comes with more support with the Double Fan Wave, though lightweight and with the breathable mesh that keeps my feet fresh even during hot runs. Furthermore, there is more cushioning at the heel, offering a better landing when striking the heel. Plus, the shoe moves to the way my feet moves while still keeping it stable. A good choice if you focus more on both flexibility and cooling features. If you really love the strong and rugged look ASICS Gel-Kayano 24 has to offer. Not only does it look rugged, but it has a strong feeling that raises my confidence in its durability. I’ve been running with these for a few weeks now and I didn’t need to break it in, the shoes feel just as great like I just got them new. Thanks to the unique technology ASICS offers, it’s able to enhance your feet’s positioning while offering better bounce back for your sprints. It’s also one of the most supportive shoes out there (under the editor’s choice, of course). The Brook’s Beast ’18 is definitely the strong beast that unleashes the power you didn’t know you had in you while running! It’s best known for the exceptional response it has as you run, you can feel your feet touch from heel to toe without the discomfort because of the good cushioning all around. I also highly appreciate it for the toe area, which is an upgrade from previous models. It’s great for flat feet because of its true sizing and incredible performance. As a flat foot runner, I focus on stability and coolness, especially during hot runs where my feet tend to give up if overheated. 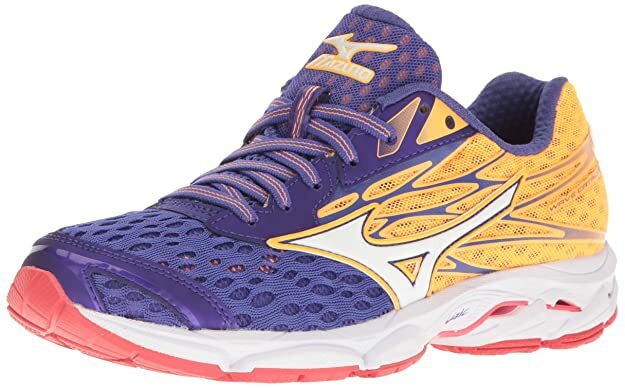 The Mizuno Wave Catalyst offers the combination of both these features, with an air mesh Intercool upper for more breathability and strong design. I also like the Fan Wave Plate exclusively from Mizuno, which offers the most cushioning energy return as you strike the ground. Besides this, it has a balance of stability and flexible support to align your feet well but still move to its positioning. 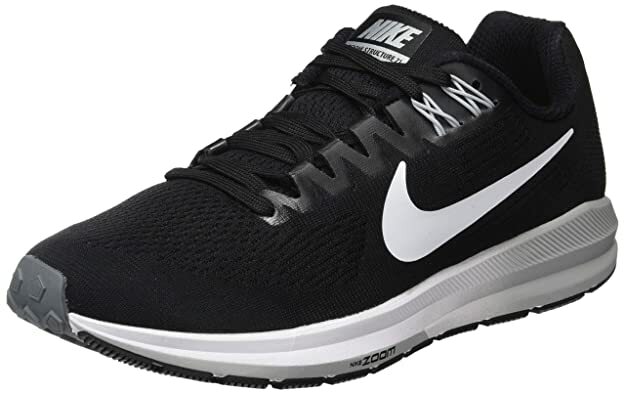 I can’t forget about Nike when reviewing any shoes related to athletics, specifically the Zoom Structure 21! This is really made for sprints and racing, with the lightweight yet supportive construction. It’s helped keep my feet moving the way it should as I run, though I wish it was a bit more stable than flexible. But what makes it a good choice is the deep flex grooves, which offer great traction to run anywhere I want. Also, it’s water repellent, truly made for the track or trail. 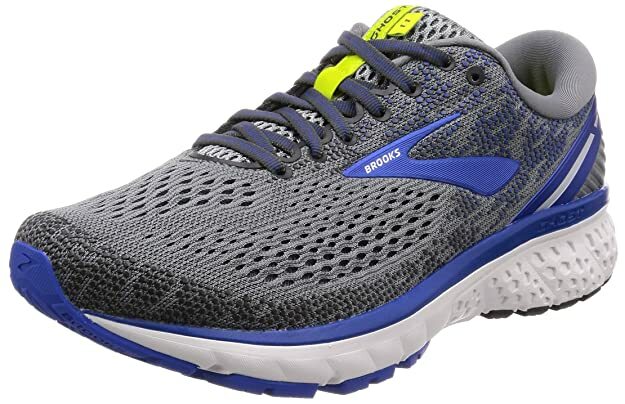 What I love most about the Brooks PureCadence is that it actually connects with your feet. Not many running shoes are able to do that, staying in sync with your feet and runs well. It has the incredible responsiveness and the flexibility I needed, though still keeping my feet stable as I run or walk. These shoes move to the way my feet do without losing their support. I highly appreciate the upgrades these shoes have gone through, with added padding and more comfortable lower heel. Because of all these, it’s become more of a treat to run without any pain. For the ladies, I’m in love with Brook’s Adrenaline GTS 19, which deserves to be the editor’s choice! It has the seamless and streamlined construction, combined with the responsiveness and supportive cushioning for both support and comfort. Plus, it has an excellent combination of everything you need as a runner with flat feet. Even after the most intense of runs, my feet and knees don’t ache as usual. My runs actually improved with these shoes because of how comfortable it feels, so it encourages me to keep going. All in all, it’s a worthy shoe for its price. 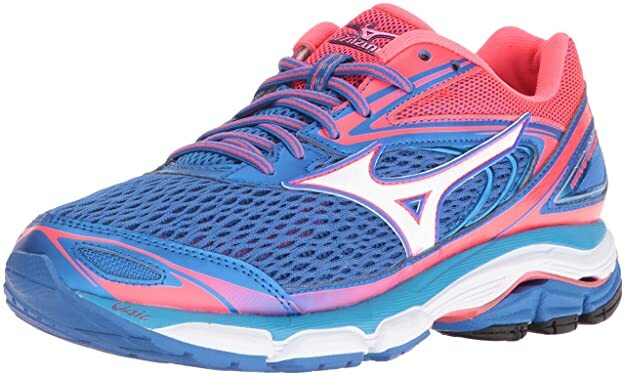 I’m in love with the bright colors the Mizuno Wave Inspire 13 has to offer! It’s really the cute design that got to me, though I feel it’s also the best for its well-ventilated and snug fit in the running shoe category. When I first fitted it, it felt true to size and wasn’t too loose or tight, just enough to keep my feet in place with a wide enough toe box. And when I began running with it, I noticed that it was more breathable and I was able to run with ease even during warm days! 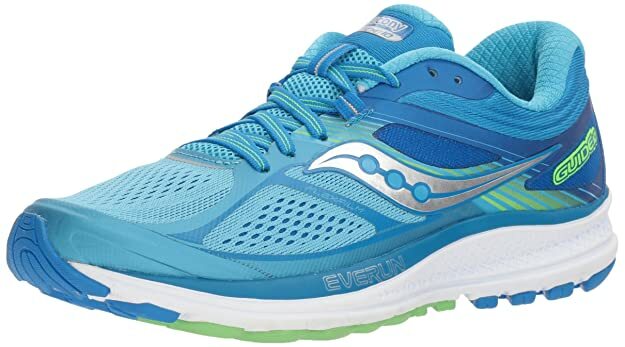 When you look into the Saucony Echelon 5, you feel like it’s bulky but with the power, you need for runs. It’s NOT bulky as it looks but actually lightweight, best known for its strength and support those with flat feet need. This is made best for road-training and with the supportive overlays and breathable mesh uppers, as well as the good sock liner and crash pad. With all these features combined, it kept the feet stabilized and free from pain or discomfort as you run. I do wish they had more colors, though! Flat-footed people require security and protection around their feet, which would help your form and weight distribution. 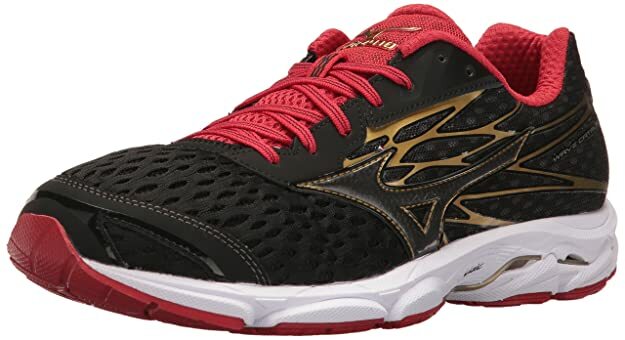 The Mizuno Wave Catalyst surpasses expectations in support and security, offering the improved Dynamotion fit which combines secureness and flexibility. Furthermore, it has a forefoot mesh that makes the shoes give more depth and functionality, absorbing shock better with softer, more comfortable cushioning. 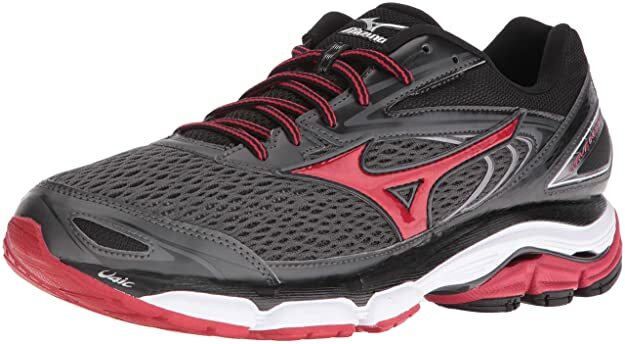 With its popping design down to the affordability, you get more than what you pay for from Mizuno! While the ASICS Gel-Kayano 24 might come at a higher price than some shoes, you definitely get more than what you pay for! I was surprised that for running shoes, I was able to enjoy using it for work and gym as well. 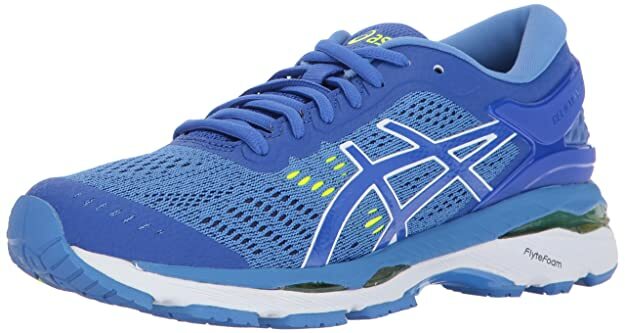 What makes the ASICS unique is also its FLUIDFIT upper technology, as well as its support and guidance systems which ensures that your feet’s natural gait is supported while keeping it snug and well-fitted. With all these advanced technologies in mind, you’ll be more than satisfied with the way you can run even further. 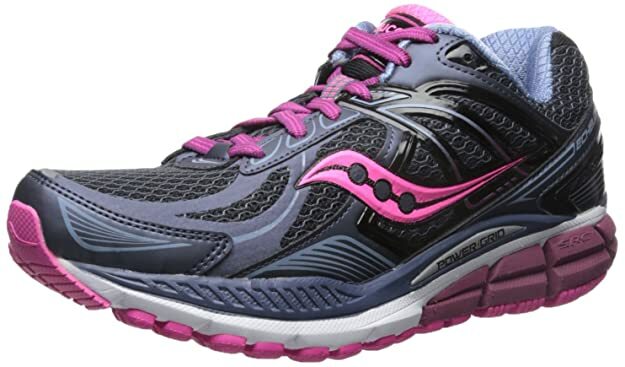 The Saucony Guide is simple yet filled with so much promise that makes it a comfort to run with. It’s great for sprints and races on any trail because of its lightweight properties and excellent shock absorption. It also has light stability, which is great for support without the bulky feeling. I love the shoes for its amazing combination of stability, shock absorption, and support, which is what makes it a cute and useful purchase. If you focus more on speed and structured shoes for the trail, this one’s for you. 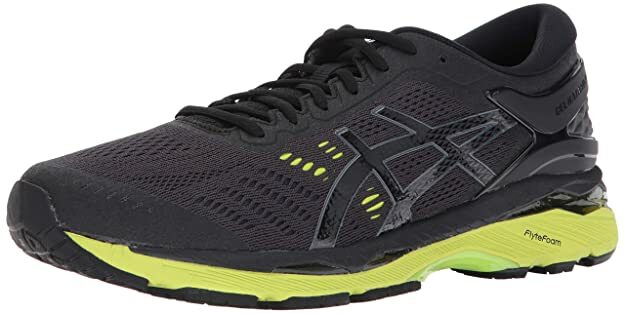 If you’re looking for something that comes at such affordable prices for the features it offers, you’ll highly appreciate the ASICS GT-2000. This is the fifth version that comes with various upgrades and the advanced technology which makes it a great running companion. It has an impact guidance system to enhance your feet’s natural gait for comfort and improved runs, as well as the support system to reduce pain and chances of injury, great for flat feet. Furthermore, it has the cushioning system I need to reduce and absorb shock as I run. While the durability is questionable and sizes aren’t as accurate, it’s still a good affordable buy. I tackled the best walking shoes for flat feet before, so it might have you wonder: What’s the difference between both these shoes? Isn’t it possible to just use walking shoes for running and vice versa? Running shoes have various functions which make them beneficial for either running or walking. These shoes are more updated with the latest technology and materials made for individual styles and needs. They have different levels of cushioning, flexibility, stability, even with minimalist feels if you’re into sprints. Walking shoes, in contrast to running, are designed more so for comfort than performance. They are made best for those who go for short and casual walks, strolling at slower paces. So if you’re looking for something built for daily use or walking exercises, it’s best to look into the right walking shoes. That’s why it’s crucial to get shoes made for the purpose you need it for. For this article, these shoes are made for running, though you can still choose to walk with them and still have stability because of its make. Why Get Running Shoes For Flat Feet? Running shoes offer the major benefit all runners with flat feet: SUPPORT and FEET PROTECTION! They have high arch support and the stabilization features that keep your feet at good positioning as you run. Because of this, it protects the feet from pain and injury. Running shoes are always made with a breathable upper mesh and well-ventilated body. They also come with the right amount of cushioning, which offers the comfort and freshness your feet need even during the hottest of runs. That way, your feet are snug and free from sweat or overheating. With the proper running shoes, you’re able to stay supported and comfortable throughout the entire run. Because of this, you can run for longer or faster without trouble, focusing more on reaching new speeds and distances rather than worrying about your feet! While quality running shoes are a bit more expensive, you truly get what you pay for as they have the strong materials made to last. You get your money’s worth for having shoes you can utilize for hundreds of miles, which is at least one or two years of running! Running shoes can fulfill various needs as a runner, but only if you know what type to choose from! You’ll need to base it on your individual wants and needs, rather than to look at the first “popular” brand you see. With that being said, how can you choose the right running shoes for you? Make sure that the shoes you get are in your size, with a wide toe box to accommodate your flat feet. I recommend that you get a straight-last shoe rather than a curved one, which has enough room to fit your feet well. Avoid shoes which have a flat sole, but rather, focus on ones with built-in arch support. Your arch needs to feel support from the shoe when using it. If you use medical orthotics, get shoes with removable sock liners to place them in. Flat feet can cause little to no arch support, which is why you need shoes that stabilize your feet. Consider getting stability shoes, made for mild arch issues, or motion control shoes, which are for severe arch issues. Just make sure that they are still flexible enough to move around according to your feet’s needs. Your chosen shoes should have enough cushioning to absorb shock as you run, but not too much to the point it’s stuffy. Besides that, it should also be made with a breathable upper mesh to keep your feet well-ventilated throughout even the hottest runs. Last but not least, focus on your shoe material’s strength and durability, ensuring that it’s built to last for long. It should have the seamless construction and the quality make that improves the shoe’s lifespan, lasting for up to 500 miles or more than that. Air-dry your shoes and stuff paper towels inside it to absorb moisture and maintain the shoe shape while drying. Don’t place them under direct sunlight! What else can I do to treat flat feet? Usually, there’s no treatment required since flat feet won’t cause any serious trouble. Just make sure that you use shoes with proper support and the right size, as well as do stretches and exercise which help build the arch. Proper standing, walking, and running positions are a must as well. Can I use my running shoes for other uses? Yes, you’re able to use your running shoes for walking or casual errands and work. Sometimes, you can use it for workouts, depending on how it’s made and the support it offers. However, I recommend that you avoid overusing them, which can wear out your shoes too quickly. How long will my running shoes last for? Your running shoes can last for up to 500 miles, depending on how it’s made and the way you use it. If you use it daily even outside running, chances are it will need replacement even before the 500-mile mark. You’ll know it’s time to replace your shoes if you see parts worn off or if you feel a bit of discomfort you haven’t experienced while it was still new. Do I need special orthotics when running? Like mentioned, flat feet cause no serious trouble, though there are some cases where one needs to wear special braces or orthotics. If you continue to feel pain on your feet regardless of the support your shoe offers, head on to the doctor who will provide the unique orthotics made especially for your feet. Is it possible to use other types of shoes for running? While it IS possible, it’s not recommended, as other shoes such as sandals or casual sneakers won’t have enough support and cushioning to protect your feet from intense activity and your bodyweight. As much as possible, stick with your quality running shoes. Flat feet (or other feet conditions like this) shouldn’t hinder you from running as fast and long as you want to. With the proper type of running shoes, you’re able to continue running without the pain, but with more achievements, making your research worth it. You’ll get comfort, breathability, and functionality without the heightened risk of injury as long as you select the right shoes suitable for YOU! 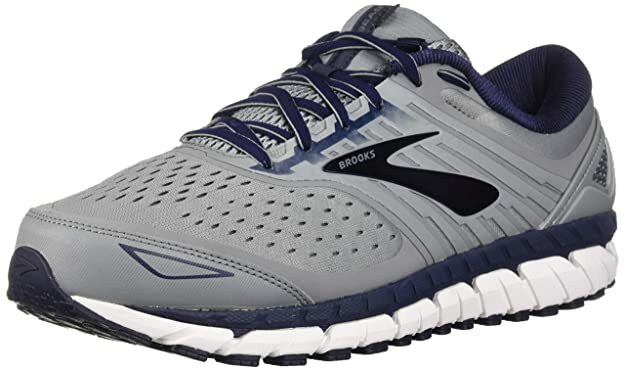 Of all the men’s running shoes I tested, Brook’s Ghost 11 has got to be the top choice. 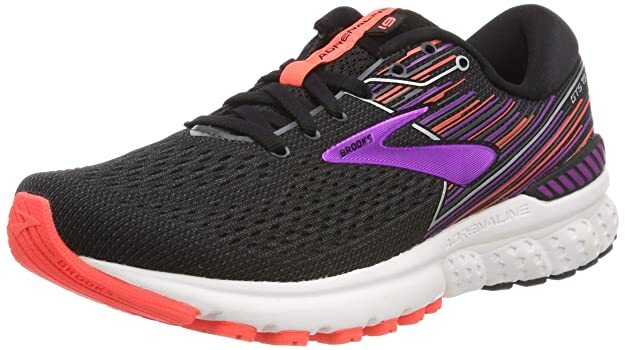 Not only is it lightweight, but it’s best for long-distance runs, offering the smooth ride as you transition from heel to toe, which has you run longer with comfort. Another thing I appreciate most about the shoes is that they fit true to size with a wide toe box, a must-have for people with flat feet! 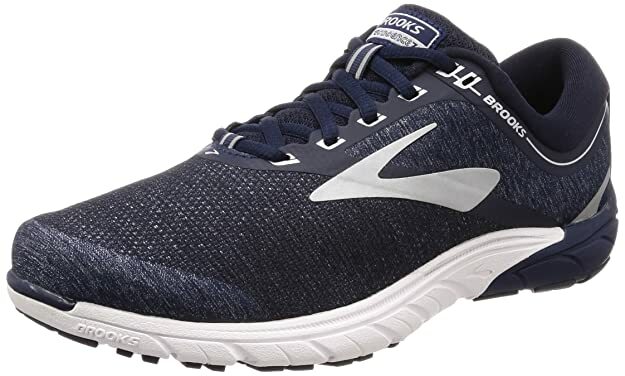 As for women’s running shoes, I highly recommend the Brooks Adrenaline GTS 19, a beautiful and supportive running shoe for all trails. It has the seamless construction for strength, the snug cushioning, and excellent response that keeps my feet running without pain. The flexibility is amazing and it moves fluidly as I run without destroying the support, which is what I really look for with flat feet. I hope that this article on the best running shoes for flat feet helped you out. So don’t wait any longer and look into getting any of these running shoes today. If you have any questions or want to share your tips and reviews on the best running shoes for flat feet, then comment below. Your thoughts are much appreciated.